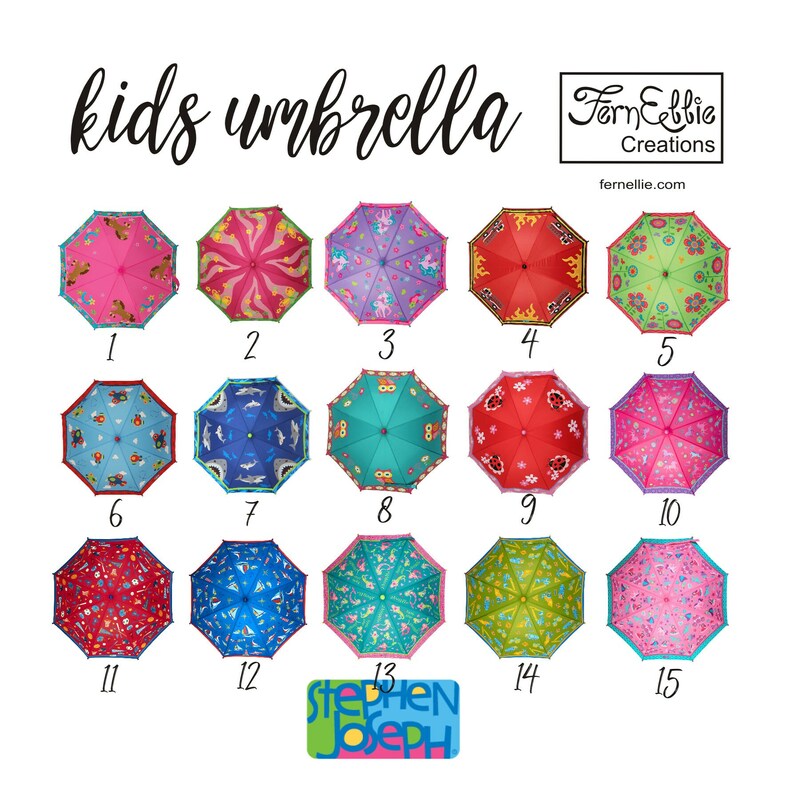 Shop at Fernellie Creations. Pay over time. With Square Installments, you can make monthly payments for your purchase from Fernellie Creations. 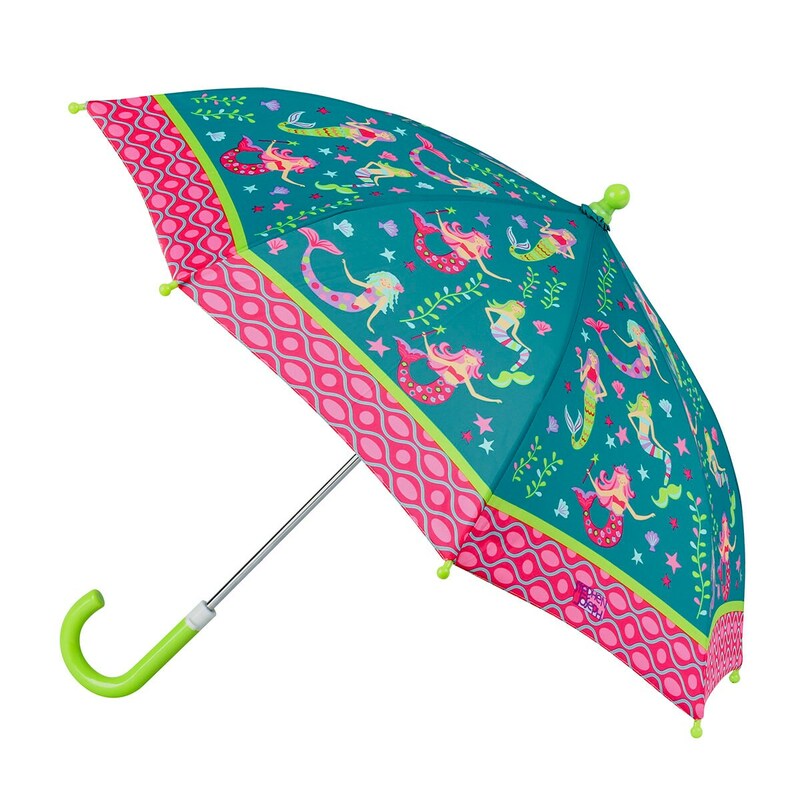 Make sure your little one is always singin’ in the rain with a Stephen Joseph Umbrella. 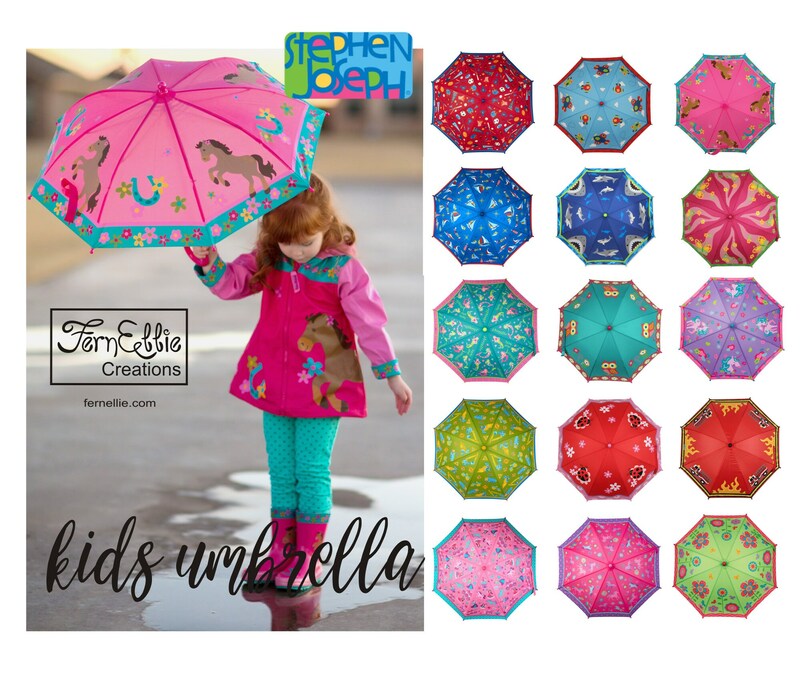 They’ll always feel sunny and bright hiding from the elements under the fun and colorful designs and mom will love that they can spot their kids in a crowd on the greyest of days. 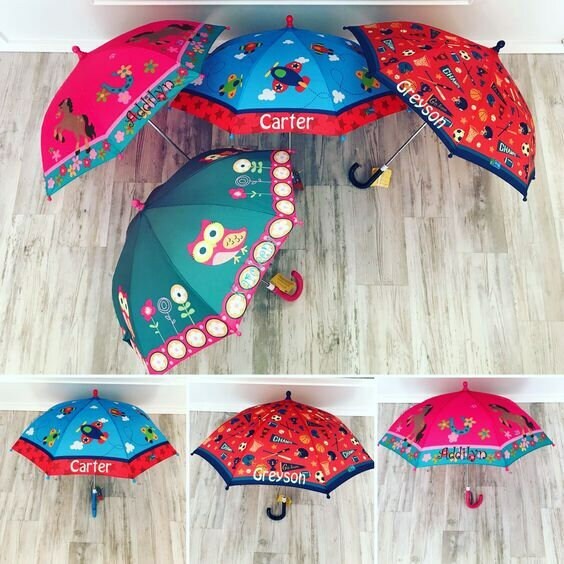 They’re the perfect accessory to keep kids dry and they can coordinate a whole rainy day outfit with matching boots and rain coat! Easy open and close – no buttons to pinch little fingers! Please enter the name to be embroidered in the note to seller box at checkout. 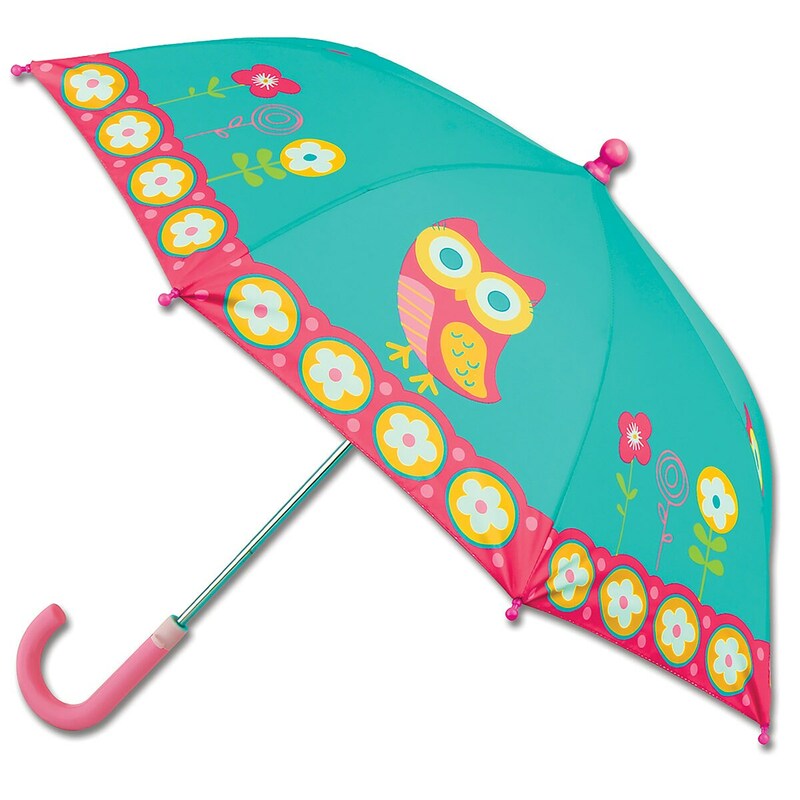 We will choose the best thread color, to standout on the umbrella of your choice. Please be advised if you don't choose the thread color we will choose it for you. Do not hesitate to contact us if you have any questions that were not covered here. Your item will be shipped within 1-2 weeks unless otherwise notified. While packages generally arrive MUCH sooner, please allow the post office up to 2 weeks for Domestic delivery & up to 4-5 weeks for International delivery. 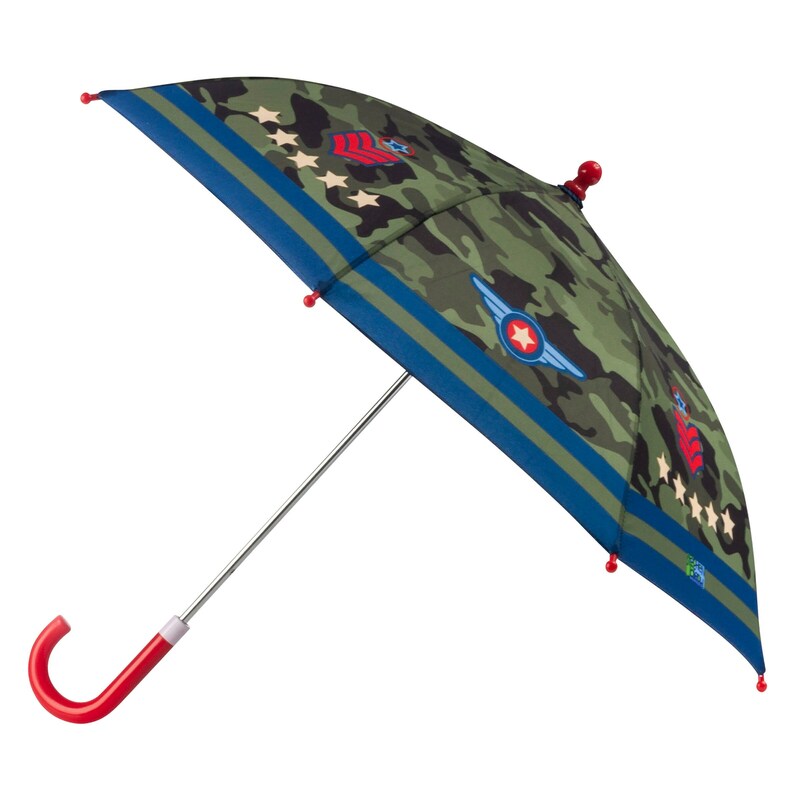 We are not responsible for any delays, damages or loss of items after the packages are accepted by USPS (United States Postal Service). Please keep in mind that the postal service is always changing their polices. Can I make changes after I placed my order? We reserve the right to not make any changes to orders after receiving them. It is at our discretion whether or not to accept making changes to orders after receiving them. We DO NOT make changes to shipping addresses. We only ship to the address associated with the order! PLEASE make sure you have the correct shipping address before placing the order. If you are shipping the order as a gift to an address other than yours, please update the address before placing your order. 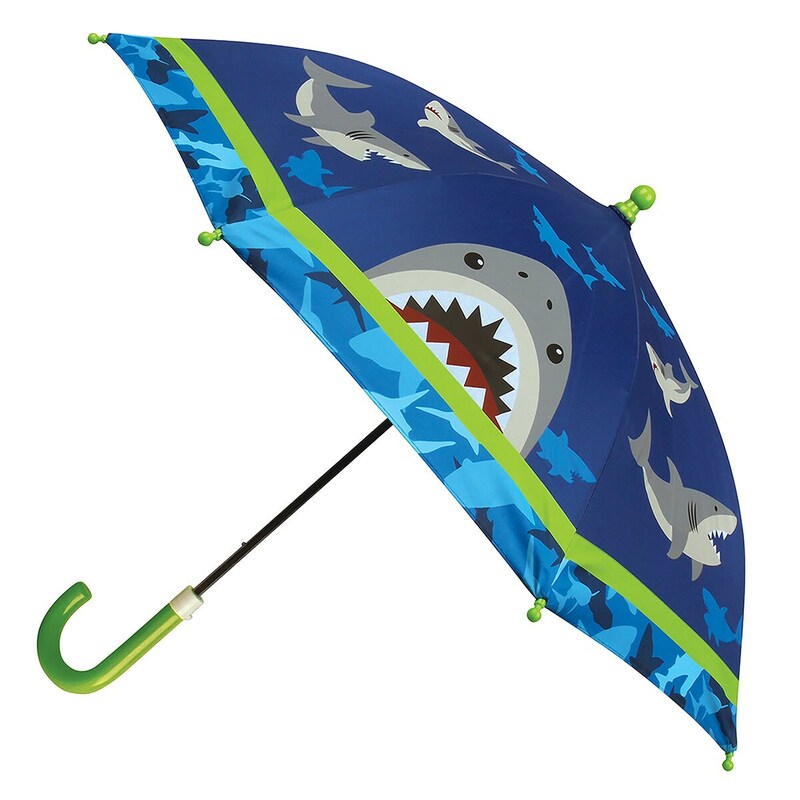 My 3 yr old LOVED this umbrella! 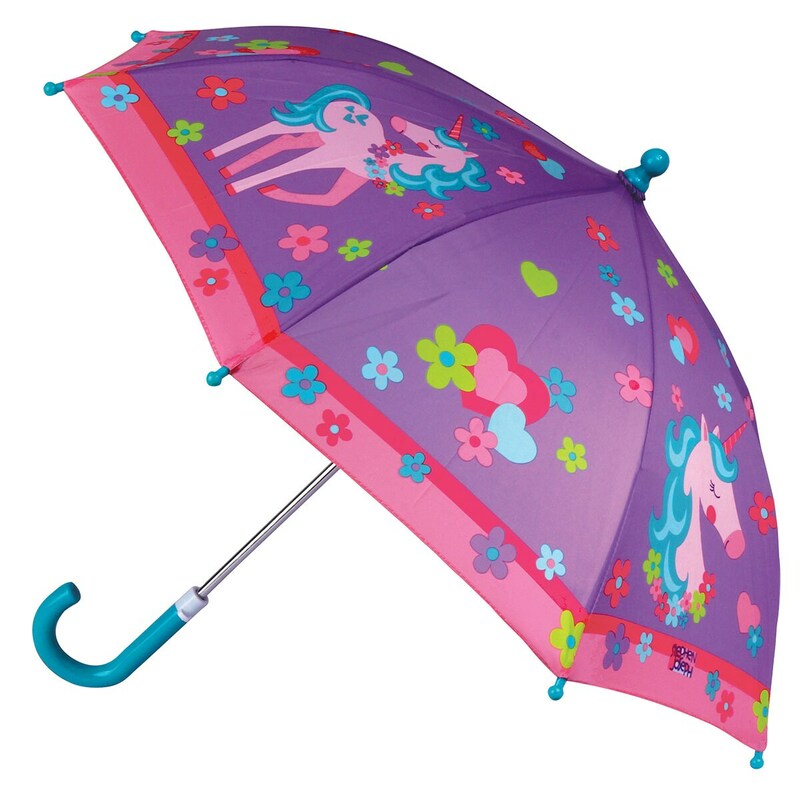 Perfect for children! 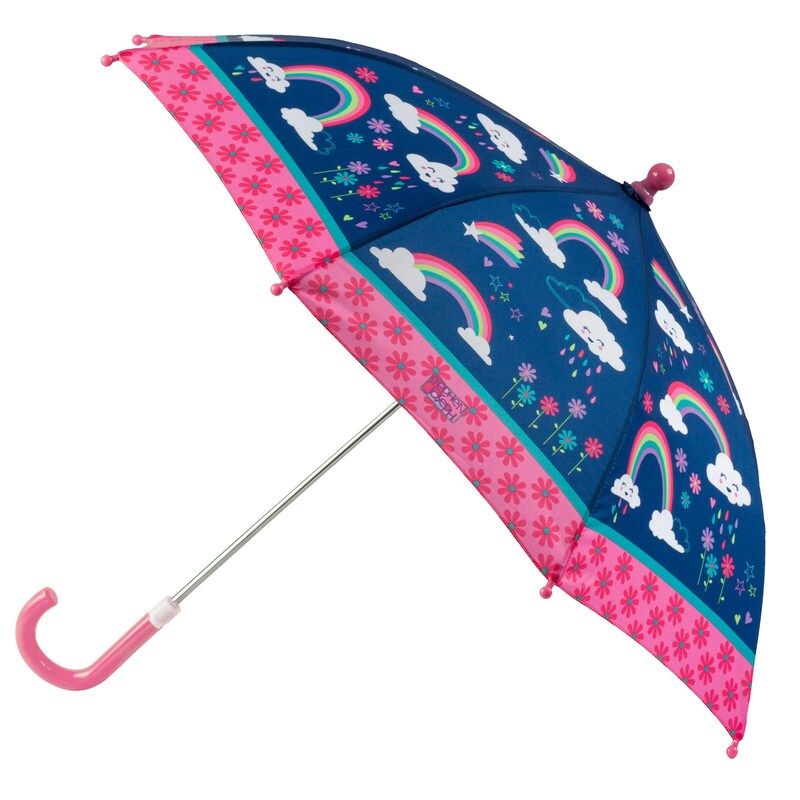 I gave the umbrella to my granddaughter for her birthday. She absolutely loved it, so did the other children at her party!